Offers world class styles that appeal to the modern bride and groom. Each ring is created to capture a “WOW” response from your fiancée. Designs inspired by nature, love of adventure, and Bagley’s imaginative talents. Available in 14 or 18kt white, yellow, and rose gold. Listed prices are 14kt. Over four decades ago, John Bagley started a career that established his reputation as a premier designer and manufacturer of fine jewelry. John's love of nature has inspired a free-flowing, unique flair with many of his creations having an element of the magic of nature. 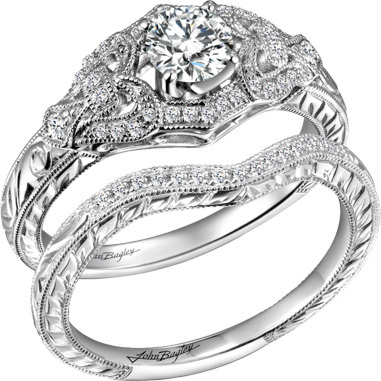 John Bagley is recognized worldwide as a leading bridal designer because of its innovative designs, superb quality, and excellent craftsmanship. John continues to move forward with new and exciting jewelry designs. Each piece is an adventure created with passion, intensity, and the desire to create a "Wow" response from your fiancée. © 2019 Wilkerson, All rights reserved. Web Design © VRB Internet Solutions Ltd.